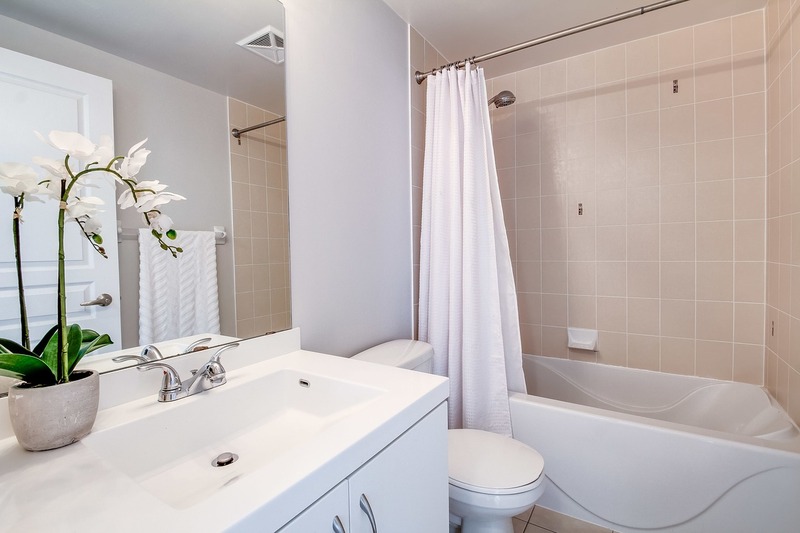 The bathroom should be a room reserved for peace and relaxation; however, some bathrooms we just can’t wait to leave. 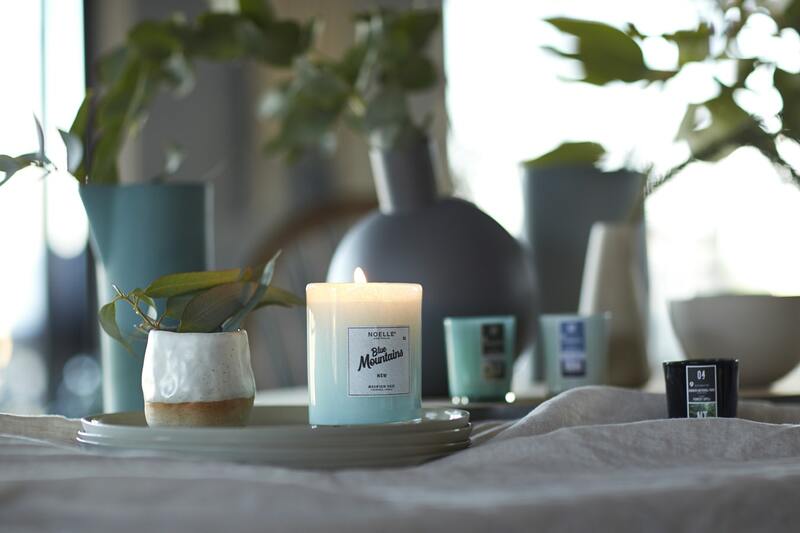 You surely do not want to evoke this feeling in yourself or your guests, so we came up with a few tips that could help you elevate the vibe of this room while also helping Mother Nature. 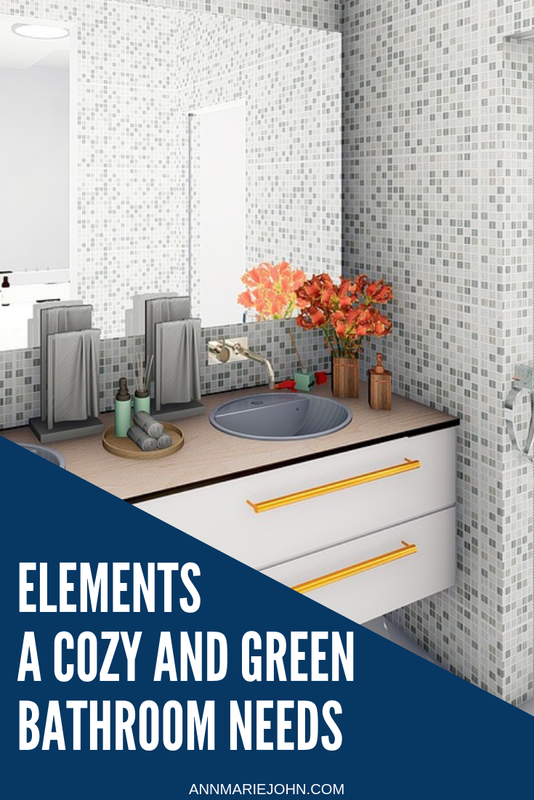 Here are some of the elements that a cozy and green bathroom needs. There are plenty of options when it comes to this. Your focal point can be one of the walls. Creating a statement wall that stands out from the rest of the room can be easily done by painting it in a vibrant color. When doing this, opt for paints that do not contain VOCs. You can also cover your walls with a cute patterned wallpaper or recycled porcelain tiles. Another option is to introduce some art or have a mirror with an amazing frame that will draw all the attention. Additionally, having an elegant vanity can add some glamour to the bathroom. Try to look for a vanity made from sustainably-harvested wood or renewable materials, such as wheat straw or bamboo. The same goes for your cabinets. People mostly have one small window in the bathroom due to the vicinity of neighbors and other buildings. If you do have the option to install a huge window or a skylight, do it. Natural light is always the best option. On the other hand, you can’t completely ignore the lights. Lighting can achieve a welcoming and relaxing atmosphere. There is a wide variety of options to choose from, from recessed ceiling lights to task lights on the vanity. Whatever you decide on, get LED bulbs as they are a green option that will last much longer than the typical fluorescent light bulbs. In addition to natural light, having big windows also provides your bathroom with more fresh air. Just make sure the window is insulated correctly to reduce your electricity bills. If your window is nonexistent or inoperable, you can install a vent fan. This helps remove odors, airborne irritants as well as moisture that often leads to mold. To remove all of the moisture, keep it on for at least 20 minutes after showering. Some versions even have a timer which can also save you money. When it comes to your fixtures, you can go both small and big. If you are happy with most of your elements, you can just replace the accents. Go for a style that matches the rest of your bathroom. You can go for black, chrome, rose gold, whatever you like. However, make sure that the showerheads you opt for are of the low-flow variety. This way, you can save more than 2000 gallons of water a year which will reflect on your bills. Additionally, you can go for faucets with a sensor which turns off the water while you’re brushing your teeth or shaving, for example. Moreover, you can invest in a low-flush or a dual-flush toilet which use significantly less water than the standard toilets. Another thing to consider is getting a bidet as that can decrease the use of toilet paper. Many shops like Bidets Online for example, even offer the option of getting just a bidet seat or an attachment, both of which provide you with all the benefits of a bidet for a smaller price. Another green option to implement is tankless water heaters. While their initial cost is high, they pay off in the long run as they use 20 percent less energy compared to traditional water heaters. Now, when cozying up the room, you have numerous ways to go. You can get soft, colorful towels that will make you feel super pampered. 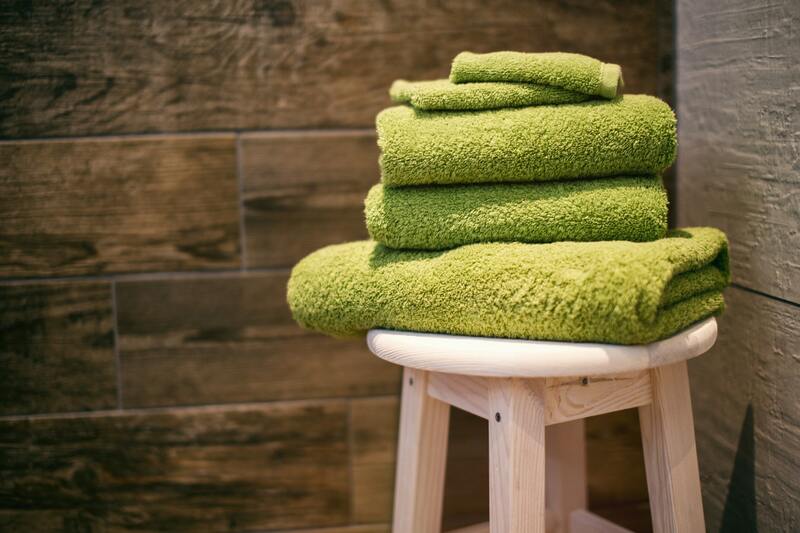 Have in mind that there are also towels that are made from organic cotton which can be much more pleasant for your skin. Having a soft rug or a mat to step on once you’ve finished your shower is essential. Rugs made of natural materials will give your bathroom style, warmth, and comfort. A shower curtain can also serve as a statement piece. You should get a color that pops against the walls and that draws the eye. However, you should avoid PVC curtains, and go for PEVA ones or those made of nylon, polyester, organic cotton, or bamboo, among others. 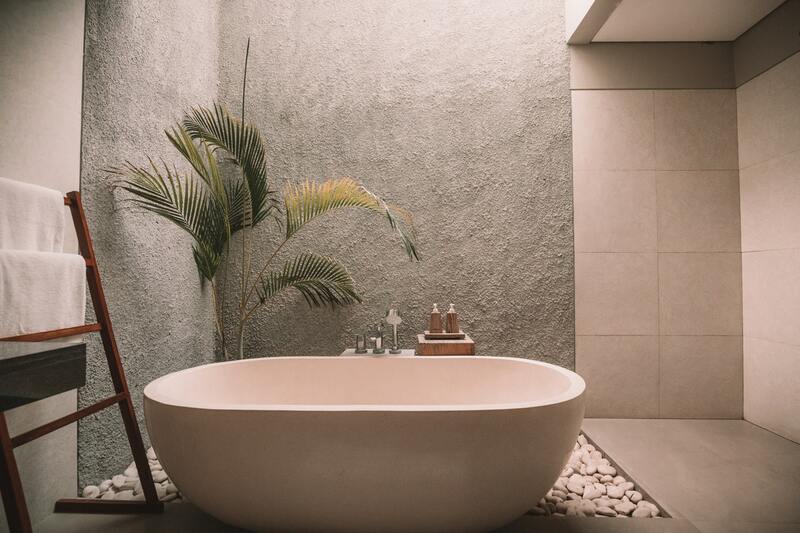 Consider adding plants to your bathroom as well. Not only do they look amazing but they also provide you with cleaner air. You can suspend them from the ceiling, put them on a shelf or down on the ground. Get colorful pots and planters that fit the aesthetic of the space. Look into which plants are recommended for a moist environment with little light. There you have it. Just some of the elements that you can implement in your bathroom that both save the environment and make you feel peaceful.